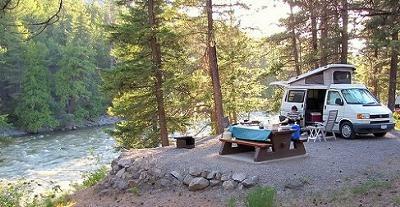 For all of the latest things to do while visiting British Columbia be sure to view www.Whistler-Outdoors.com for all of the camping ideas and information. My wife and I are from Idaho and have driven to Alaska four times in eighteen years. Last trip was in 2015 and plan to drive it again this year. We have never had a single problem along the road in B.C. We have also been treated with courtesy at every stop. If you show courtesy you will generally receive courtesy in return. 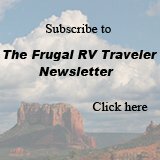 This year we plan to tow a small vacation trailer or drive a class B motorhome. We also mount a camcorder on the dash to photograph the abundance of animals and birds along the way. B.C. is great for pictures. Our cam has a 40X optical zoom so even far off pics are easy to take. First, I was born and raised here, so I might be a little biased. 1. BC has some of the best roads anywhere so we also have some of the highest speed limits in Canada. Most RV'ers don't line to drive that fast. We are on vacation and higher speeds mean poorer gas mileage. Don't be afraid to pull over on a wide shoulder to let traffic pass. Major highways have passing lane sections with signs advising you of how far down the road they are. We are slowly working towards 2 lanes in each direction on all major highways. 2. 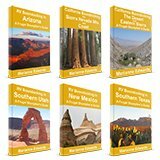 When you get here, buy the Backroads Mapbooks for the areas you plan to visit (or, if you have a Garmin GPS, download the appropriate package from their website). Free campsites are clearly marked. 3. The roads to the free campsites consist of well maintained gravel main roads to logging areas with rougher roads from the main road to the lake or river or whatever. See advice in main article above. 4. When turning on to a main Forestry road, take note of any industial vehicles on the road. They may indicate activity in the area (logging, mining, construction, etc.) in which case there should be pickup trucks with radio aerials mounted on top of the cab parked or travelling on the road. If you see one, don't hesitate to flag one down and ask about conditions in the area you want to explore. They would rather you be safe than sorry. 5. When on aboriginal lands, signage will tell you if fees are expected to be paid for camping. If there is no signage, then anyone asking for money is having you on. In 40 years of camping, I have never had this happen. Sometimes, non-natives will try to convince you that they have the entire campsite reserved, but, without someone with authority there to certify this, their claim is bogus. Still, with 1200 campsite to choose from, it is usually sinpler to just move on. 6. Everywhere you go, leave it nicer than you found it. Road rage is very common especially in the lower mainland. It is crowded and we are number 1 in terms of most congested city in North America. Thus making us the rudest and most obnoxious drivers. Don't take it personally. Everybody thinks they own the road, and have no consideration for everyone else. To avoid this, just don't drive in rush hour. Sorry but if your only experience with BC is road rage,that is probably because you are a horrendous driver and people are frustrated with you. LOL! You have obviously never been to the GTA (General Toronto Area)! I'm heading out to BC in a couple of weeks! I can't wait to get to the coast! British Columbia is rampant with speeding, reckless drivers. It is the worst place I've ever visited. Don't bother to go there unless you enjoy road rage. That seems to be common all over Canada, but BC is the worst I've experienced. Join in and write your own page! It's easy to do. How? Simply click here to return to Why Boondocking?.